This genre is so hot right now. When it comes to what’s hot in gaming right now, nothing is more prevalent than the battle royale genre. Whether it’s Fortnite, PlayerUnknown’s Battlegrounds, or even H1Z1 or Ark, gamers everywhere can’t seem to get enough of the last man standing mode. How big is it, though? Huge. 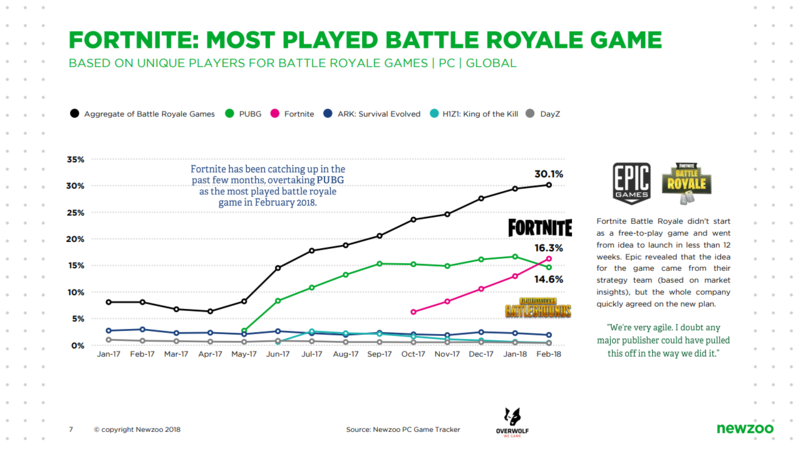 Thirty percent of all “core PC gamers” played battle royale games in February 2018, according to a new report by gaming market analysis company NewZoo. Taking a closer look at NewZoo’s numbers, 16.3 percent of all gamers chose Fortnite as their battle royale of choice, while 14.6 percent of players picked PUBG. This has been the trend of late, as Fortnite has come to overtake PUBG in overall popularity. People aren’t only just playing the games, though, as Fortnite and PUBG were both tremendously popular on Twitch and YouTube Gaming. Fortnite racked up 83.3 million viewership hours in February between the two platforms, while PUBG reached 57.2 million hours. Comparing the two games, PUBG is still hugely popular in China, with 52 percent of all core PC gamers there playing it in February, compared to just one percent who played Fortnite. The West is where Fortnite shines, as it’s largely popular in countries like France, Saudi Arabia, Denmark, Belgium, and Sweden. 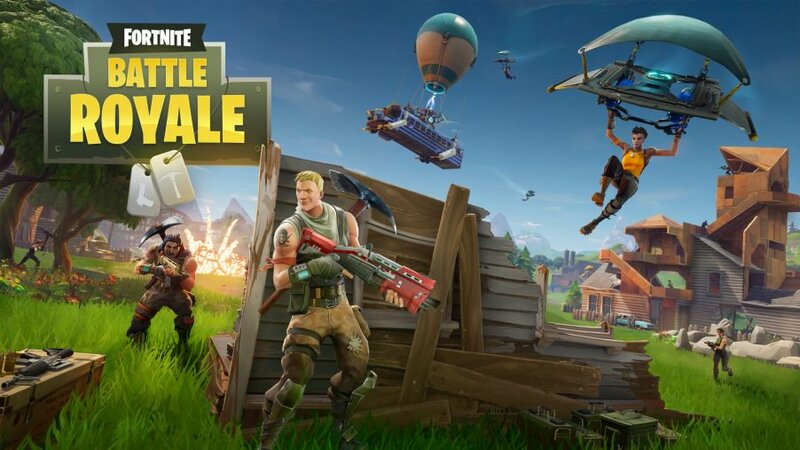 NewZoo’s report also mentioned the trend of battle royale games moving to mobile, as it says that PUBG Mobile reached 22.3 million global downloads as of March 24, while Fortnite on iOS had as many as 6.5 million downloads. As far as what’s next, NewZoo expects many existing franchises from big publishers to introduce battle royale modes into their games in the coming months, with examples given being Call of Duty, Overwatch, Battlefield, and Destiny 2.